Essar Steel, which is on the cusp of a resolution under the Insolvency and Bankruptcy Code (IBC), has recorded its best ever production at 6.8 million tonnes, an improvement of 10 per cent over the previous year and around 24 per cent in 2016-17. At the end of March 2019, Essar's production stood at 6.78 million tonnes compared to 6.18 million tonnes in 2017-18 and 5.47 million tonnes in 2016-17. The corporate insolvency resolution process (CIRP) for Essar, one of the largest Reserve Bank of India- mandated resolutions, started in August 2017. 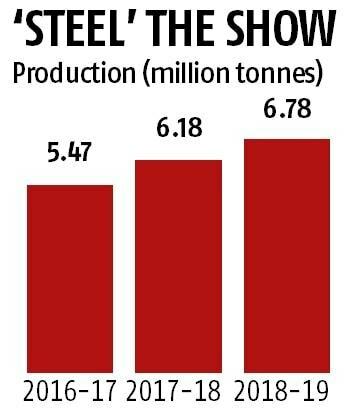 J Mehra, who stepped down as the chief executive officer of Essar Steel at the end of March, said that the steel production and the production of downstream units were at an all-time high. Essar recorded an 80 per cent capacity utilisation in downstream units and a substantial increase in production of value added products comprising galvanising, colour coated products and pipes. Mehra also appreciated the performance of the pellet facility which recorded a production of over 10 million tonnes and operated at rated capacity in March 2019. Resolution professional, Satish Kumar Gupta, who is now chairman of the monitoring committee that has taken charge of Essar, confirmed the production numbers and said, the performance of Essar was possible on account of support from the financial creditors and the management. "It also establishes the plant capability," he said. 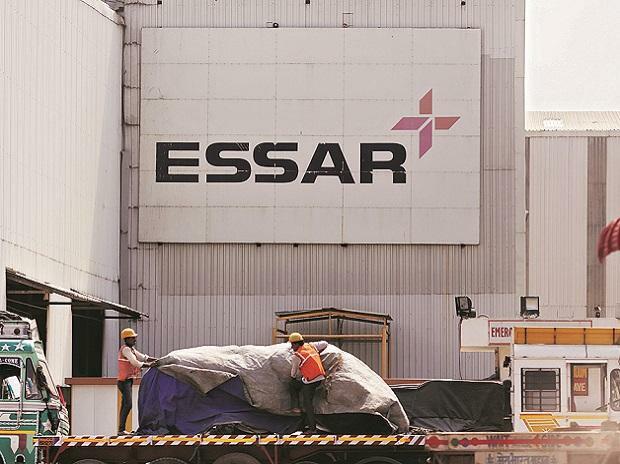 A monitoring committee with representatives from lenders and ArcelorMittal as per an order from the National Company Law Appellate Tribunal (NCLAT) has taken charge of Essar Steel. Resolution professional, Satish Kumar Gupta, is the chairman of the monitoring committee. Sources said, Essar's performance was despite withdrawal of funding lines by MSTC to the tune of Rs 700 crore. MSTC used to provide funding lines for import. At the time of stepping down, Mehra was satisfied with the performance of the company, which provides a strong platform for further growth. Essar has been selling more or less what it produced as it had not received any additional funding support. Favourable market conditions, therefore, helped the company. Senior vice president ICRA, Jayanta Roy, pointed out that prices of hot rolled coil (HRC) had touched a low of about Rs 28,000 a tonne at the end of FY16 and then moved up to around Rs 46,000 in Q1FY19. After dipping in Q3 to Rs 38,000 it is now hovering at around Rs 42,000 a tonne. Essar Steel has a steel making capacity of close to 10 million tonnes which is supported by a 20 million tonne pellet-making capability. However, sources pointed out that the capacity could not be achieved as it required additional funding. ArcelorMittal's resolution plan for Essar Steel includes a capital expenditure plan of Rs 18,697 crore to take the finished steel goods capacity of the plant to 8.5 million tonnes by 2024. The long-term aspiration was to increase finished steel shipments between 12 and 15 million tonnes through the addition of new iron and steel-making assets.